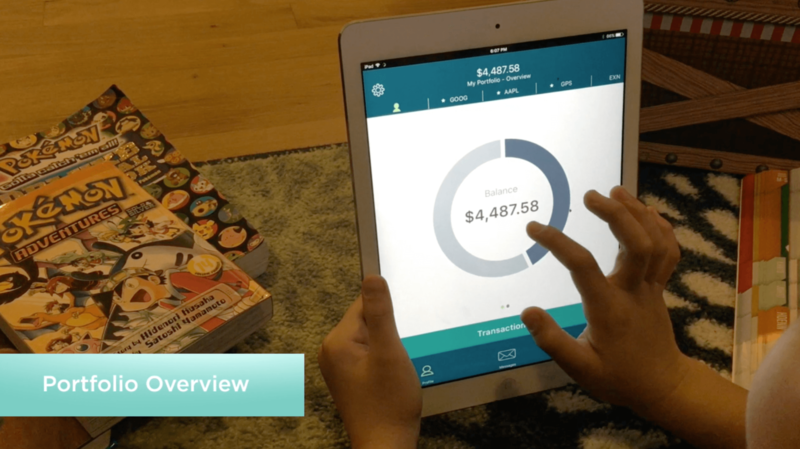 Koinvest is an up-and-coming FinTech startup— our mission is to teach teens how to better manage their money through smart investing in the stock market. Koinvest, under former name Kid Kaching, won the San Francisco division of the second annual International Hackathon, hosted by BNP Paribas and the Bank of the West. 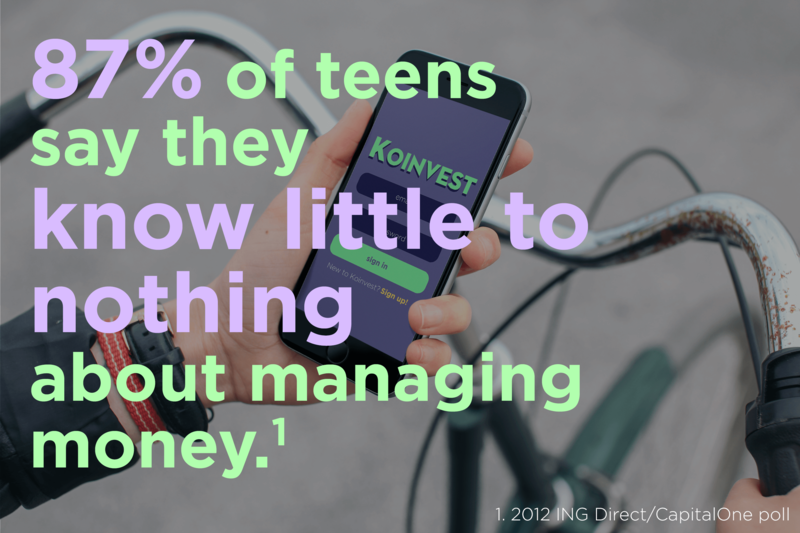 According to a 2012 ING Direct/CapitalOne poll, 87% of teens say they know little to nothing about managing money. Neither do they learn financial literacy in schools. This lack of relationship between financial institutions and a new generation of potential customers is the problem Koinvest is aiming to tackle. I began by doing research into stock markets and investing. Since our target demographic was young adults / teens who might not have a lot of prior experience with navigating the world of stocks and investments, I anticipated the challenge of organizing complicated financial data in a way that would make sense to them. I then conducted a competitive analysis of other investing apps— among them were Betterment, Robinhood, Acorns, and Stash. I worked with the founder to establish what we wanted the product to accomplish— the ultimate goal being the facilitation of the relationship between teens and financial advisors. I then produced sketches to visualize our discussions. The designs created for the hackathon were only meant to stand up to the scrutiny of a three minute presentation, so a considerable amount of UI redesign was required. I created mockups in Sketch, then exported out to Zeplin for easier communication with developers. See below for features and their breakdown! Where users can check their portfolio balance as well as the individual stocks they’ve invested in. Information about the stock’s performance over the past day, month, year, and five years are available. Events such as stock splits are also indicated. Users can search for stocks by company name (Disney), industry (entertainment), or ticket (DIS). Each stock page contains information about the stock’s performance over time, as well as general information about the company itself. 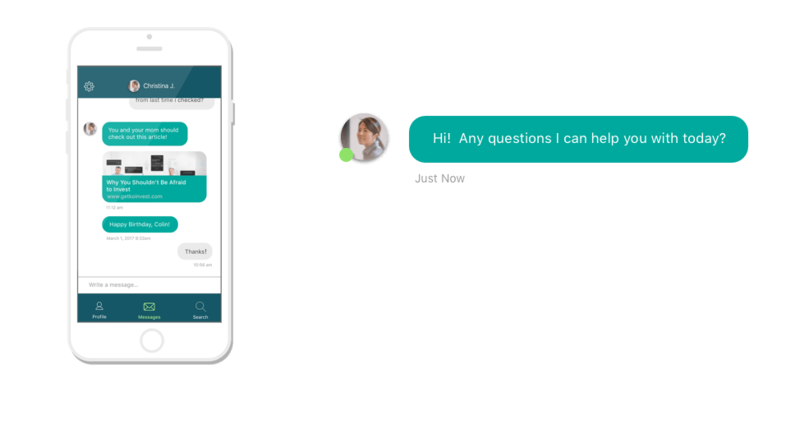 This feature facilitates communication between the Financial Advisor and the user, with the custodian cc’d on all correspondence. The Financial Advisor can provide answers or advice in regards to any financial questions the teen or their custodian might have.